If you’re planning a bicycle trip to New England, you’ll undoubtedly benefit from doing some research before you leave. As you pick our your cycling routes, make sure the biking trails you pick match with your hoped-for difficulty level, length and terrain. If you’re looking for the best bicycle trails in Maine, Vermont, New Hampshire or another New England destination, the good news is that bike trails in this part of the country have been grafted over abandoned railway lines, chiseled into the granite of Acadia National park and tucked into lush conservation areas all over the glorious region that is New England. 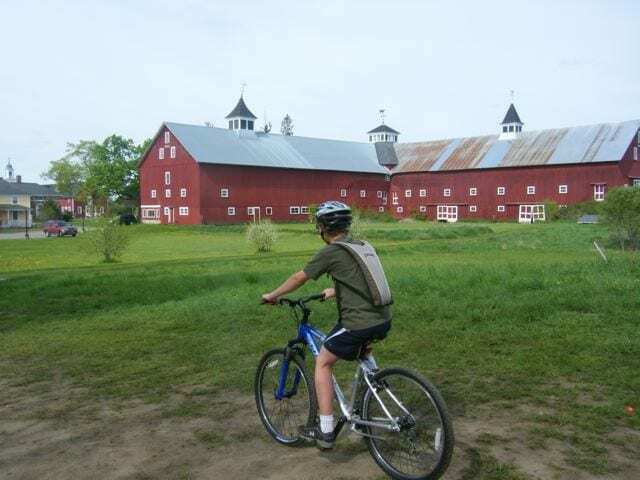 Along the way, you’ll run into artisans working out of restored barns, secluded swimming holes, farmers growing fresh produce, historical sites and other bicyclists who are usually happy to chat. And since you’re in New England, prepare to be overwhelmed with ice cream stands on every corner in places like York, Maine. Since you’ve committed to a New England bicycle trip, it’s time to pump up your tires, pack your panniers and dig out your water bottles. After you’ve done an equipment check, don’t forget to pick out a few maps or bicycle guides to help inform your planning. Below are our 9 favorite New England bicycle maps and tour books that will help you find the right biking trail. 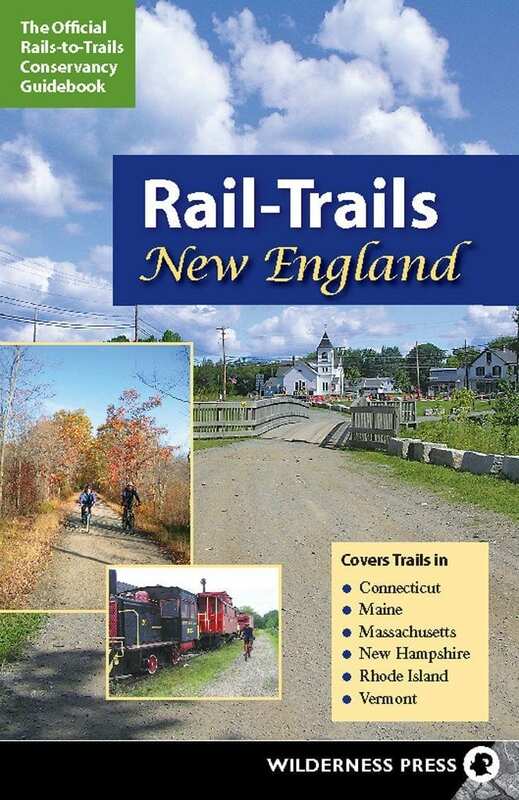 This is the most recent New England bicycle guidebook, Rail-Trails Southern New England. 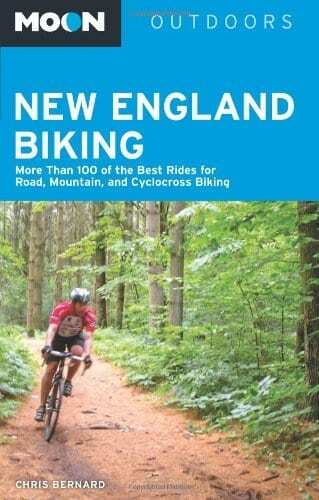 The Moon New England Biking book is comprehensive and packed with useful information, Moon New England Biking covers an array of biking trails for any skill level in Vermont, New Hampshire, Maine, Massachusetts, Rhode Island, and Connecticut. 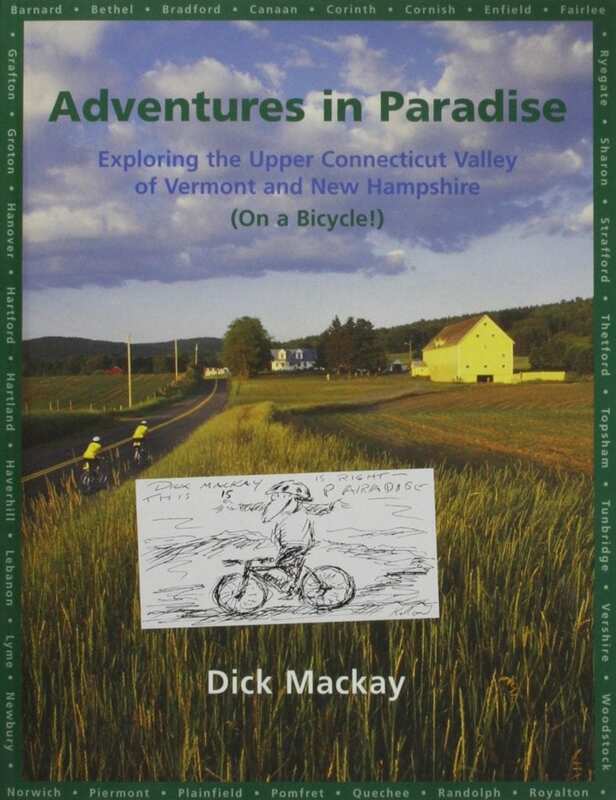 Adventures in Paradise is an older book, but the ratings are solid and it covers some of the most beautiful area in New England. 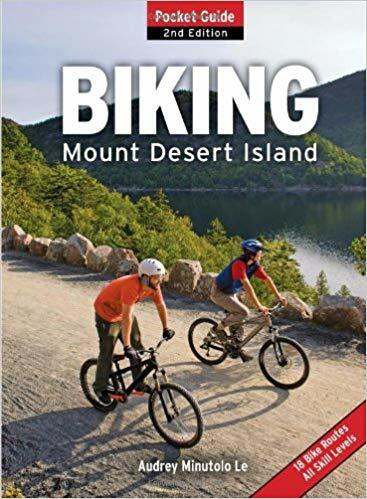 This short book is aimed at bicyclists who want to explore the Upper Valley, but should not be missed even by those who want drive or walk around the region, or for bicyclists who just want to find some training routes. The Acadia National Park Discovery Map is a GPS-rendered topographic map is a compact yet comprehensive resource for exploring Maine’s popular park on bike, water, or foot. On one side you’ll find a map of Mount Desert Island in its entirety, including insets of Isle au Haut and Schoodic Peninsula. On the reverse is a close-up map of Eastern Mount Desert Island, detailing such popular treks as Jordon Pond, Bald Peak, Cadillac Mountain, and Cranberry Hill. Trips from the companion guidebook, Discover Acadia National Park, 3rd Edition, are clearly labeled on the map. Check out our recent review of cycling in Acadia for helpful tips. 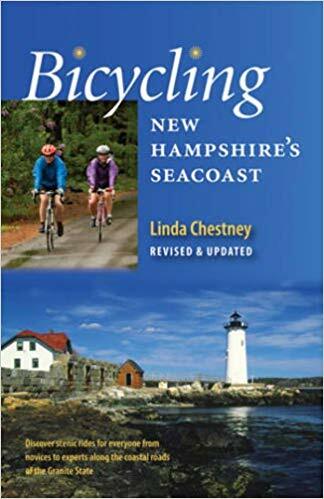 Bicycling New Hampshire’s Seacoast guide is a helpful resource. Since we live in the Seacoast area, I’m partial to anything that shares more about the many bicycle trails you’ll find in this area. Head farther inland to areas that may be lesser known, but are equally beautiful for cycling—such as peaceful, rolling Kensington; quaint Barrington; or the serene environment of Newmarket’s Great Bay. Choose one of the rides that skirt into Maine and visit Nubble Lighthouse, or ride south into Massachusetts along the Merrimac River. Whether you pedal through an inland village or oceanfront town, you’ll find the Seacoast region offers a perfect opportunity to enjoy New Hampshire at its best. The Biking Mount Desert Island: Pocket Guide is a pint-sized resource that fits well in your packpack. With 57 miles of well-tended carriage paths—skirting some of the most beautiful sights on Mount Desert Island and free of automobile traffic—Acadia National park is a very popular destination among bicyclists. Audrey Minutolo-Le provides cyclists with an in-depth look at 18 of the island’s finest loop routes, both on and off-road, and gives valuable tips on the prime times to cycle busy sections of Acadia. She also includes many great rides outside the park that are often overlooked. 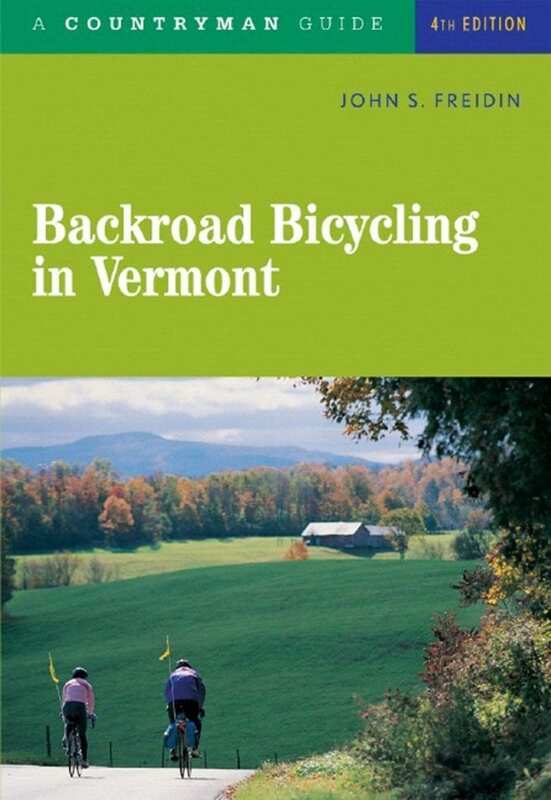 The Backroads in Vermont guide focuses on the quietest, least-traveled back roads. Information in this book covers tours ranging from easy rides for beginners and families, to challenging routes for the most hardy cyclist. Every tour includes stunning views, charming villages, and special places to swim, eat, and visit. Whatever part of Vermont you choose, you will have clear, accurate directions, ensuring your finding your way with confidence on nearly traffic-free back roads. 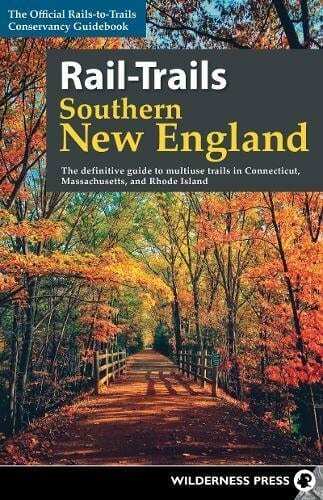 We hope you find our 8 best bike guides and maps for New England helpful. Don’t forget to also look through our Bicycle New England resources about the East Coast Greenway. If you’re in need of some tips for your equipment check, feel free to read our bicycle water bottle list, bike rack recommendations, 6 best tents for touring New England and our car camping checklist. And since it can get dark on the tree-lined carriage road trails, consider purchasing some extra bicycle lights to make sure you’re visible to oncoming cyclists or hikers.